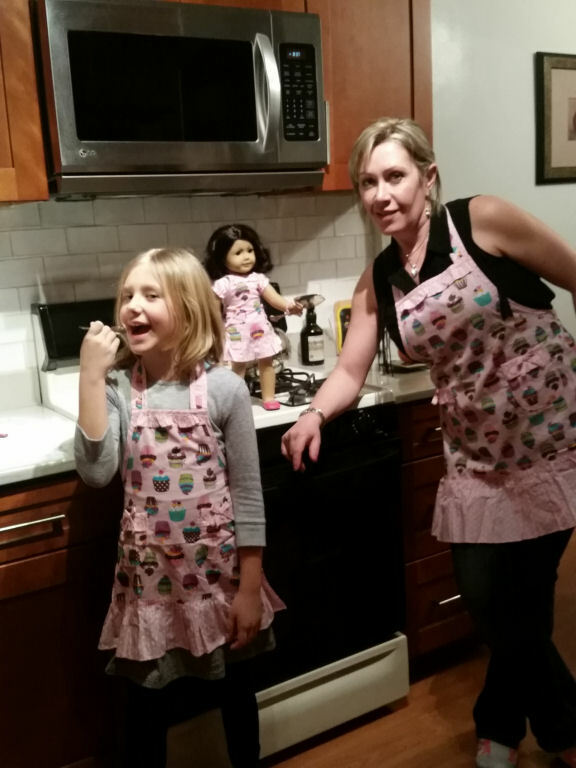 They sent me three matching cooking aprons for my daughter, her doll, and myself. 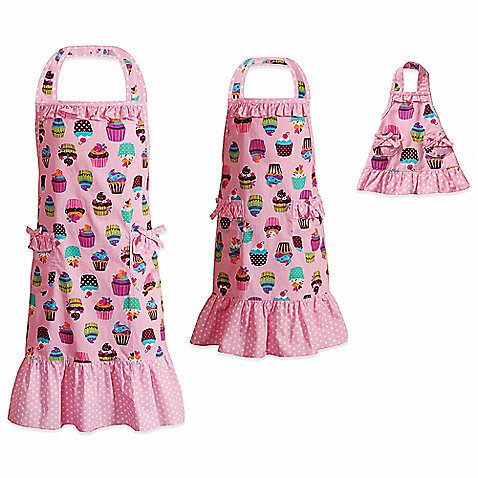 The aprons are pink and adorned with pictures of colorful cupcakes. The next time we are baking or cooking a dish in the kitchen it will be nice for all of us to match. It will be just another cute thing that I could do with my daughter. It will be fun to have her doll there as well. I have to say I miss playing with dolls. It would be kind of cool if there were adult doll playing parties. You know where a bunch of grown woman has tea and crumpets with their dolls joining in on the fun. Hey maybe I’m onto something here. If we include our daughters as well it would be a really nice bonding experience. 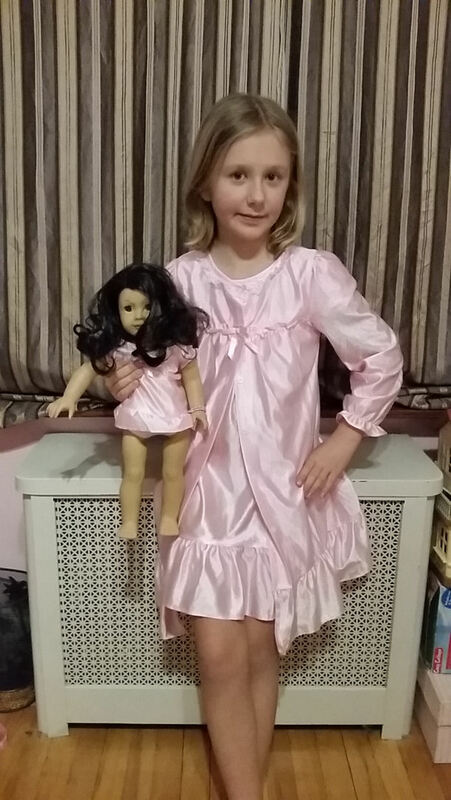 ‘Dollie and Me’ also sent us a glamorous dreams pink nightgown and robe and matching doll outfit. 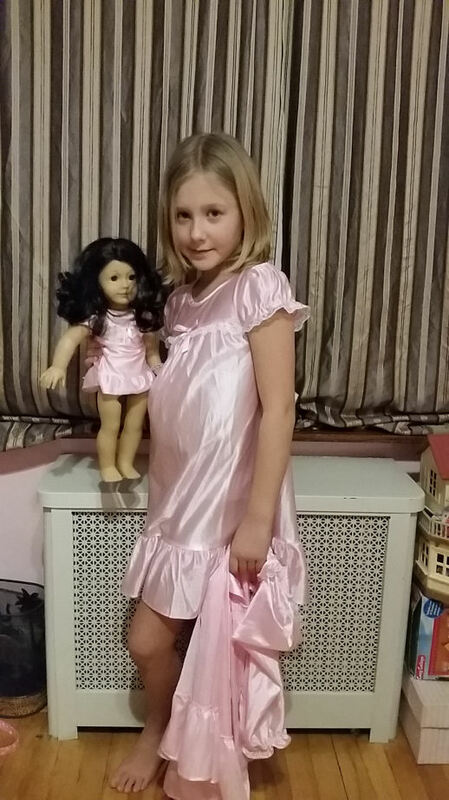 It was really cute to see my daughter dressed up in a soft silky nightgown and robe holding her doll who was wearing the same thing. This would be a great theme for a girl’s slumber party. All the kids could come with their dolls and everyone would be in matching outfits. 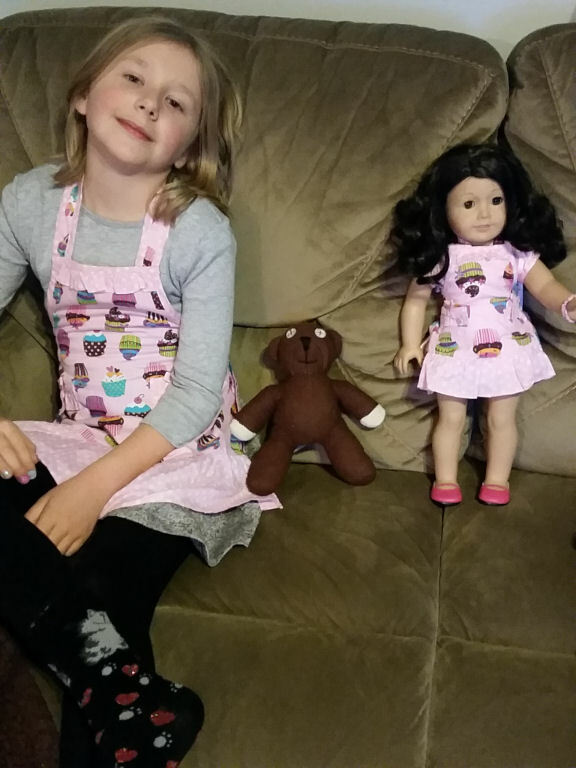 Have you ever dressed your dolls in the same clothes you were wearing? Disclosure: We received complimentary products mentioned above to facilitate this post. « Let the Motorolla MBP854 video baby monitor help you rest without worry!